We saw a hawk in our neighborhood and it wasn’t long before we were searching out birds of prey books so we could learn more about it. We found some really good titles and wanted to share them with you. 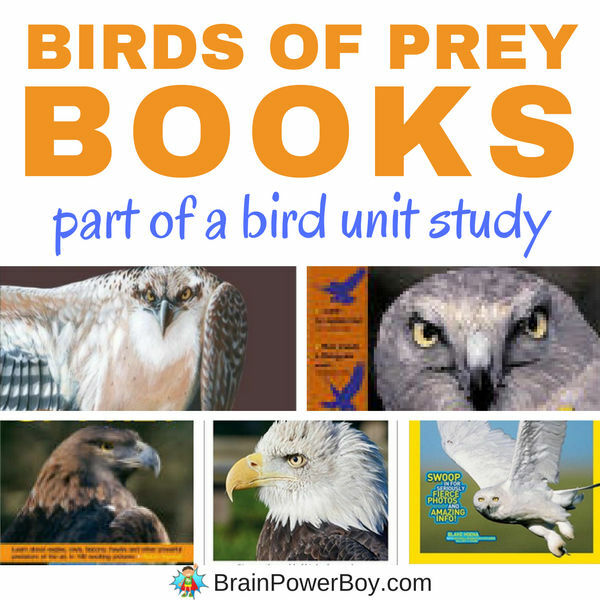 We even joined up with some other websites to bring you a unit study on birds! For more good books boys will enjoy try out best books for boys list. 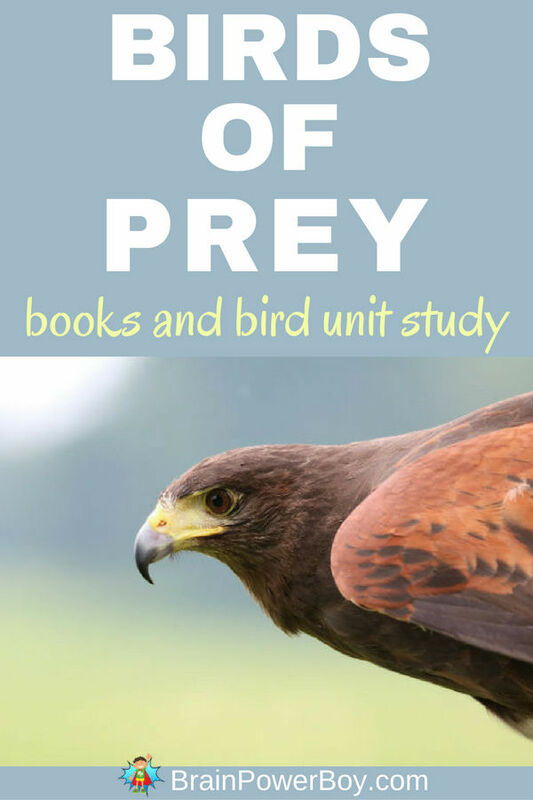 Get a bird’s eye view 😉 of the best birds of prey books. We took a look at quite a few but these made the cut. See why in the text below each book image. 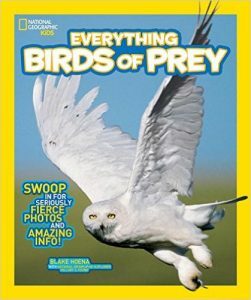 Our top choice in birds of prey books is this title: National Geographic Kids Everything Birds of Prey. The photographs are excellent as they always are in this series of books. The closeups of eyes and beaks are super and make you feel like you are right next to the bird. The book also has a lot of visual appeal in that its pages are colorful and there are a lot of text blurbs for kids to read. 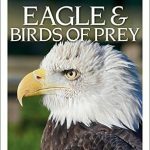 It is packed with good information covering everything from what a bird of prey is to what type of lifestyle they have. Of all the books on birds of prey, this one delivers the most value. Next on our list is the newly released DK Eyewitness book Eagles & Birds of Prey. In typical DK fashion they cover all of the many aspects of birds of prey. It was a tough choice between this one and the National Geographic title. This book is best for boys who want more detail and are interested in the individual birds as they cover a wide variety of birds here. Birds of Prey is packed with 190 pictures! This book is geared toward 8 – 12 year olds. This is a nice reference book to have. I like that it includes boxes which have info on the myths of birds of prey as well as the interesting “did you know” tidbits that add a lot to the book’s content. When we research a topic we get a lot of different books because they all go about explaining things in a different way. With Raptor! A Kid’s Guide to Birds of Prey our favorite part was the close-up illustrations of feathers, eyes, beaks and more. 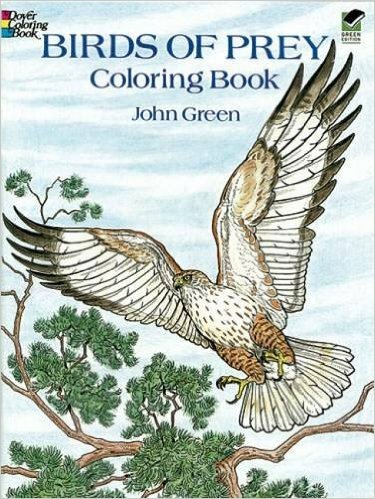 See our other educational coloring book posts too! Our last selection is Thunder Birds: Natures Flying Predators. I am a huge fan of Jim Arnosky. Huge. Fan! When I saw that he had a birds of prey book, I was excited to take a look. If you are not familiar with him, I suggest you dive deep and get some of his wonderful titles. So . . . back to this book. It is filled with his beautiful illustrations and simply packed with information. I am fond of how he always handles his subjects with a true love of nature and how he explains things to children. There is no talking down to kids here. Thunder Birds includes your standard birds of prey but he also includes more birds that fish and hunt. I hope you enjoyed our list of birds of prey books. There are other books available but these are the ones we thought were the top titles. Owl Books for Kids from Look! We’re Learning!